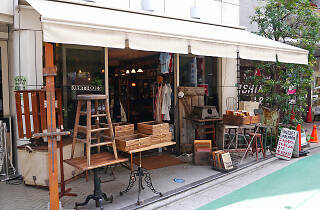 Vintage store J’antiques sells chic American clothing and furniture from its base in the Nakameguro shotengai (shopping street). 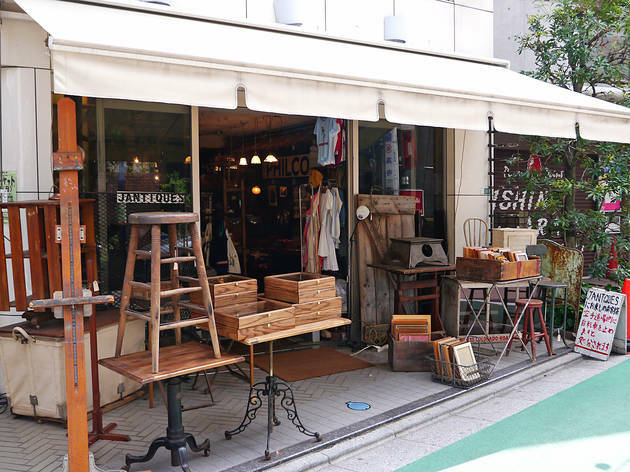 Opened in 2005, it’s run by Hitoshi Uchida and offers a good range of vintage items from throughout the 20th century – the bulk of which is menswear and womenswear. Interior items – including antique accessories, furniture and tableware dating from as late as the 1950s and as early as the 1800s – and vintage fabrics and buttons make up the rest of the stock. The floor is divided into three sections – secondhand and accessories, vintage menswear, and vintage womenswear, with the vintage clothing split across two equally grand rooms. It’s rumoured that the quality of the stock draws big names from the fashion industry in search of inspiration – and you can’t go wrong with an endorsement like that.